Pattern immersion. It’s a trend seen from coast to coast, popping up in new ways every day. 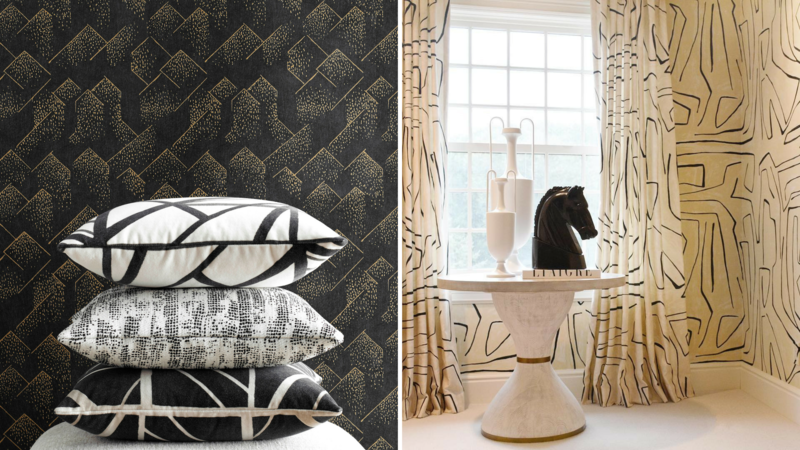 Enveloping an interior with a visually intriguing pattern is the quickest way to captivate a space. And there’s nobody in the industry who understands this better than renowned designer Kelly Wearstler. Kelly’s wide offering of geometric and dimensional designs both stand out and seamlessly blend together, creating the perfect illusionary experience. 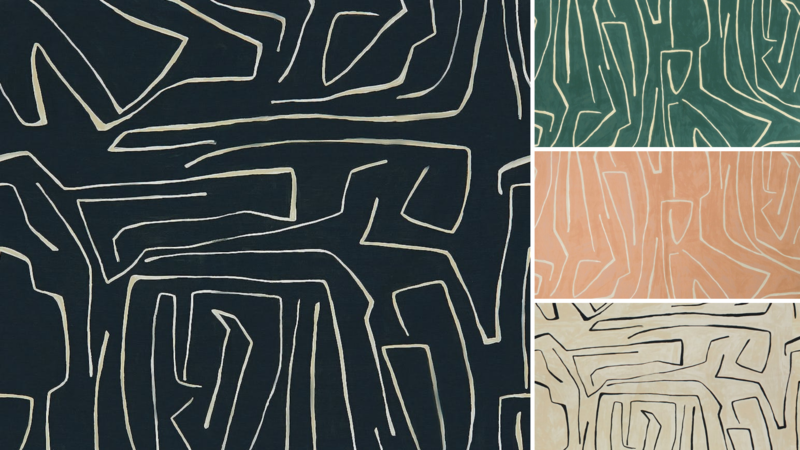 Take a look at some of our favorite Kelly patterns being used to immerse an interior. Enter another dimension with Rarity. This linen-blend velvet playfully combines an optical pattern with vivid colors. Rich in composition, this robust specialty woven is a show stopper! 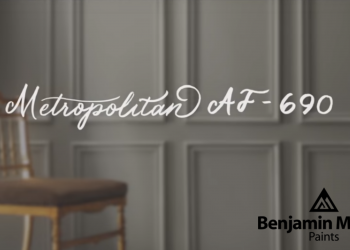 It is perfectly translated into a wallpaper that is printed with a hand-painted look to enhance its composition. The fabric is offered in three colors, with an even larger offering of wallpaper, available in five colors. 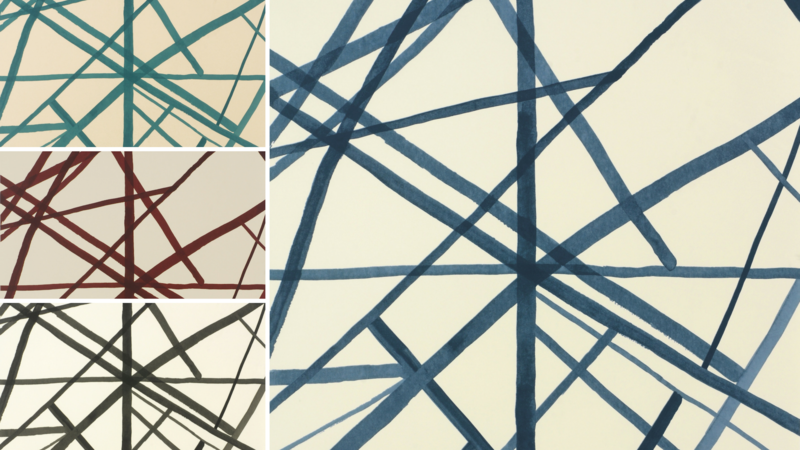 Grafitto is an abstract graphic print in a large scale that brings a direct boldness to the space in five colors. 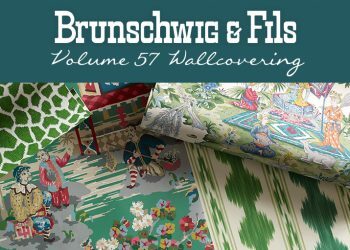 Digitally printed on linen ground cloth, it’s also offered as a coordinating wallpaper in six colors. An iconic look goes velvet. Channels is the ultimate combination of abstract lines and graphic boundaries. This fan favorite is reintroduced with new colorways and a coordinating wallpaper, available in three new colors. 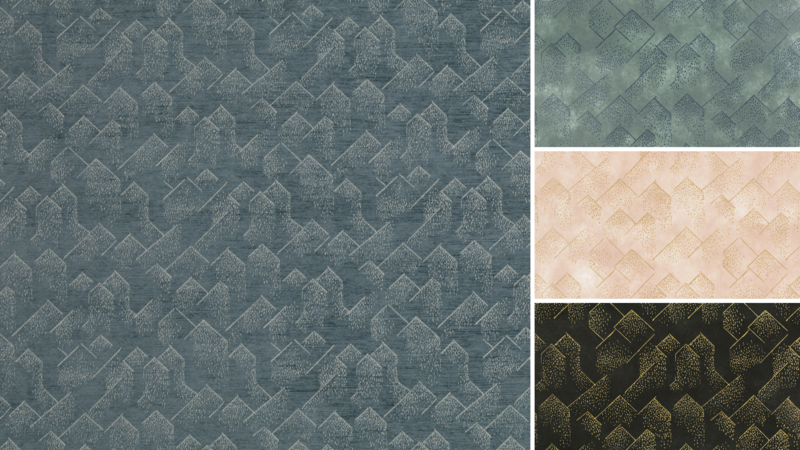 Brink, a blended jacquard, delicately plays with geometry and cascading organic dots to create a unique fabric that is both structured and free form, offered in six colors. 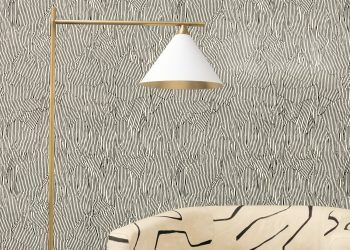 A larger scale version of this pattern is presented as a plaster print wallcovering, featuring a textured background, providing depth beyond the surface of the organic geometric design. It’s offered in five colors. 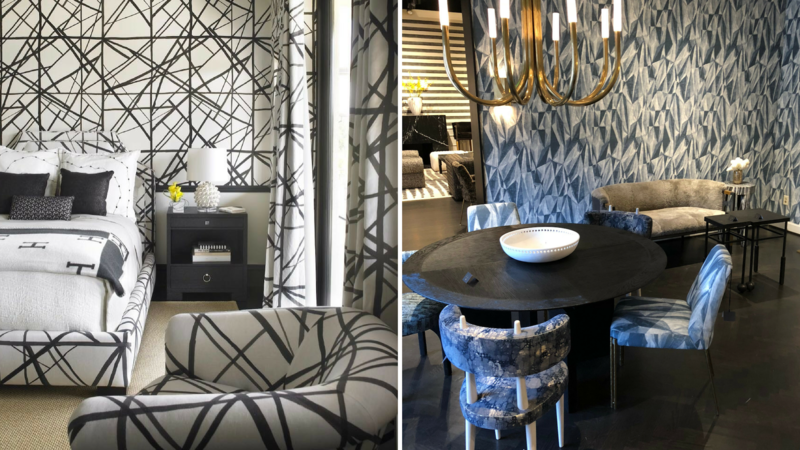 But don’t take our word for it – check out how these designers are bringing this trend to life in their own interiors. 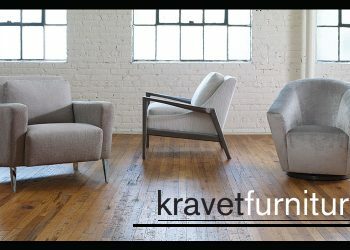 Left: Image: Designer: Fein Zalkin Interiors. Photographer: Troy Campbell Studios. | Right Image: Marlin Greene of Greene Design Group. 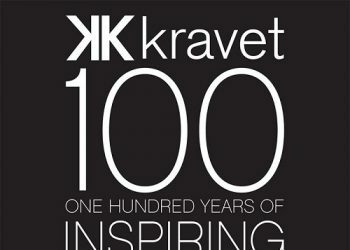 Right Image: Designer: Amy Carman Design. Photographer: Elisabeth Witt. 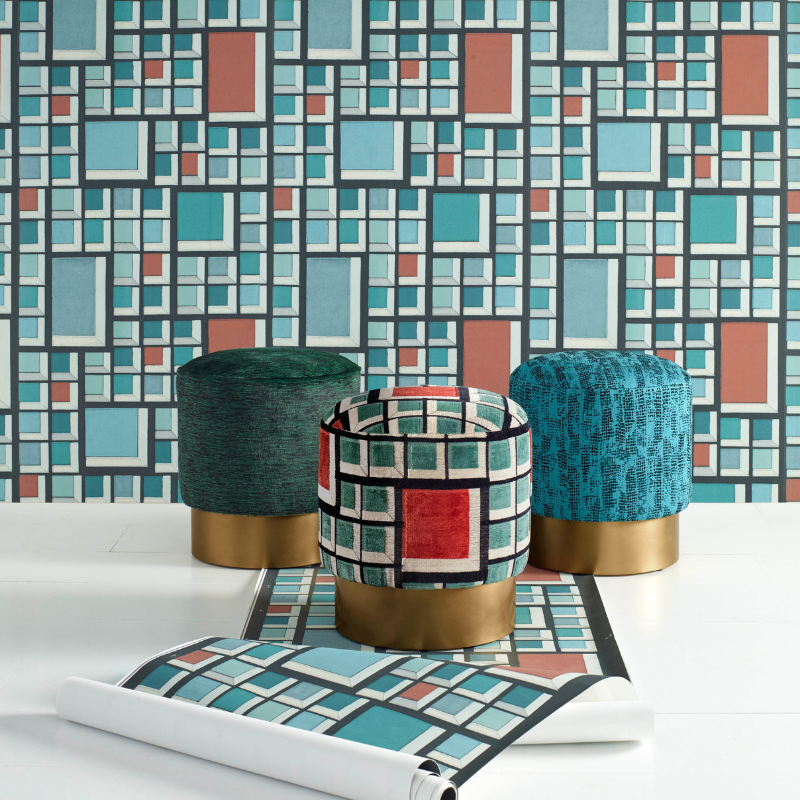 Get inspired and start creating your own immersive space with these stunning Kelly Wearstler coordinating patterns here.